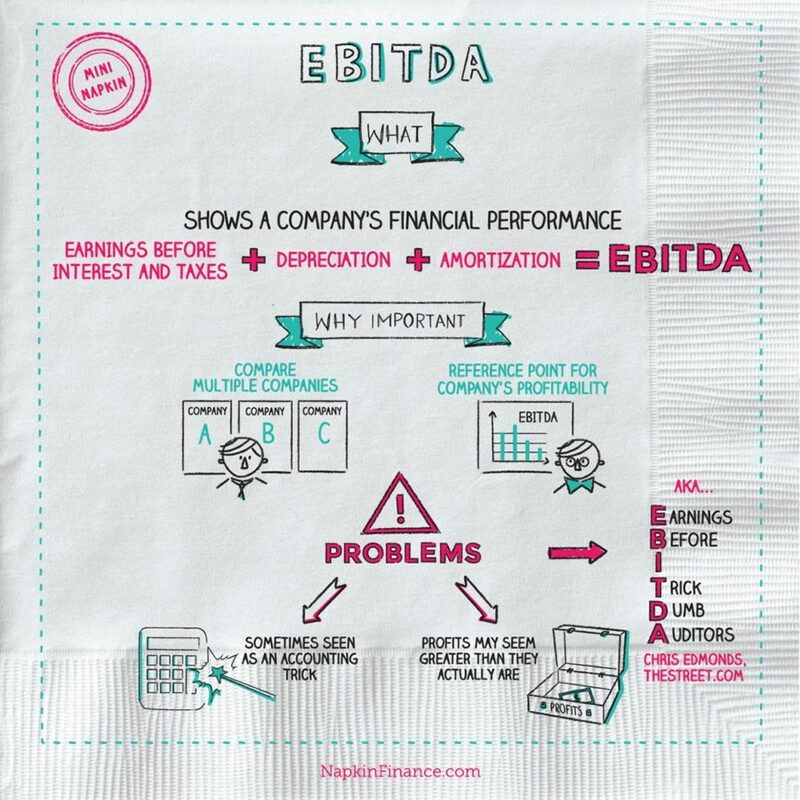 What is EBITDA? 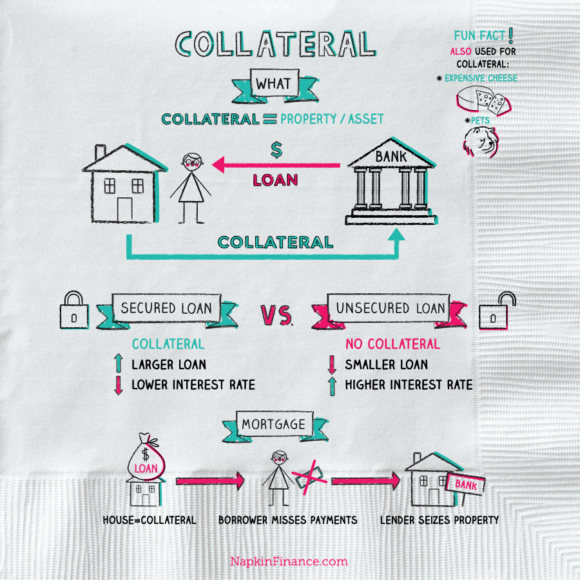 Napkin Finance has the answer for you! 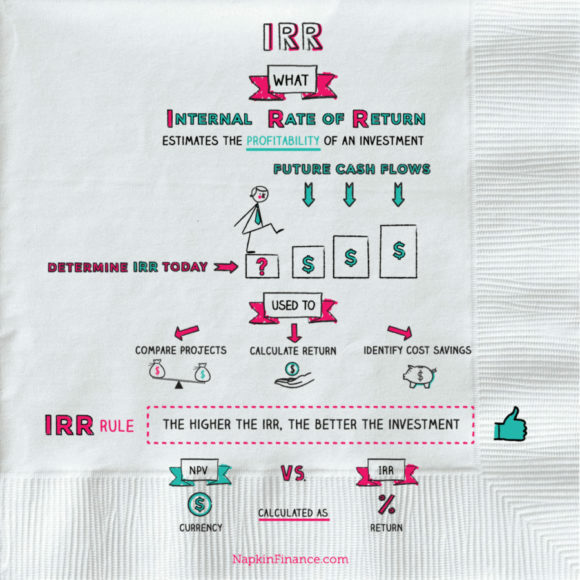 It is often used by investors to value companies that are not making a profit. EBITDA gives investors a reference point for a company’s profitability. It also provides a way to compare many companies without having to worry about company-specific additions and deductions. To calculate EBITDA from this income statement, we find EBIT ($750,000), depreciation ($50,000), and amortization ($0). EBITDA = $750,000 + $50,000 + $0 = $800,000. The EBITDA margin shows how operating expenses affect a company’s profit—the higher the margin, the less risky the company is financially. Industries with the highest EBITDA margins include banks, oil and gas production and exploration, utilities, railroads, power, mining, telecom, semiconductor manufacturers, tobacco, and alcoholic beverages. Industries with the lowest EBITDA margins include gasoline stations, auto dealerships, petroleum products and wholesalers, furniture stores, grocery stores, music stores, and liquor stores. EBITDA can also be misleading. By adding back depreciation and amortization, a company’s profits may seem greater than they actually are. Also, since a company’s liquidity changes due to interest, taxes, and expenditures, a positive EBITDA won’t always mean a healthy company because taxes and interest are actual expenses that business have to account for. EBITDA is sometimes seen as an accounting trick to make a company appear that it is earning more money than it really is (since it essentially ignores the interest, taxes, depreciation, and amortization the company must pay). With so many companies using EBITDA to inflate their revenue, Chris Edmonds of TheStreet.com, suggests that EBITDA really stands for Earnings Before I Trick Dumb Auditors.